“Get inside!” shouted one of the bodyguards, Adnan, to us and Tanya and Benjamin got into the armoured jeep, but I took a chance and jumped up on the back of it together with more bodyguards and the sheiks security. 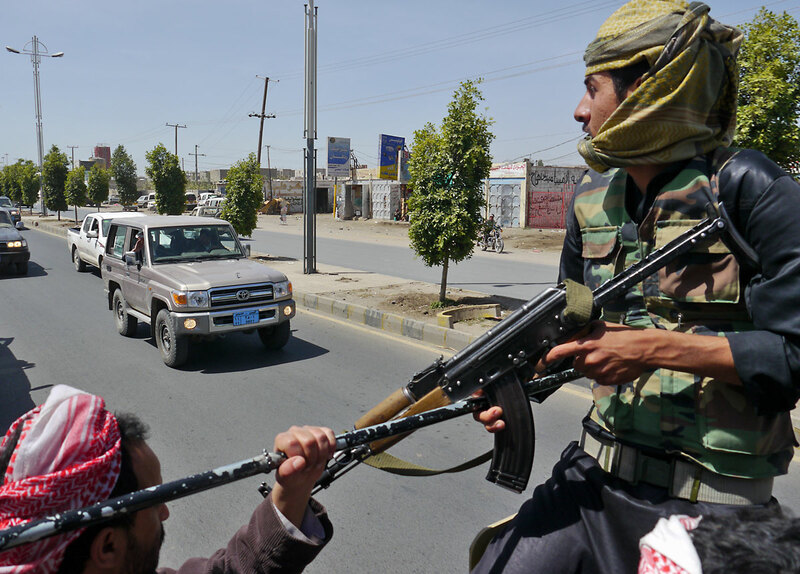 The jeep shot off full speed down the road, followed by at least 50 other cars, packed with regional sheiks belonging to the biggest tribe in Yemen, the Bakil. And of course our host, one of the leaders of the Bakil tribe, Sheikh ? We were all heading for a place outside the capital, where the leaders of the second biggest tribe in Yemen, the Hashed, were waiting. What I was experiencing was a tradition older than the prophet Muhammed, tribal law and a tribal court. It is said that possibly as much as 90 percent of all conflicts in tribal areas are resolved by using this ancient system. 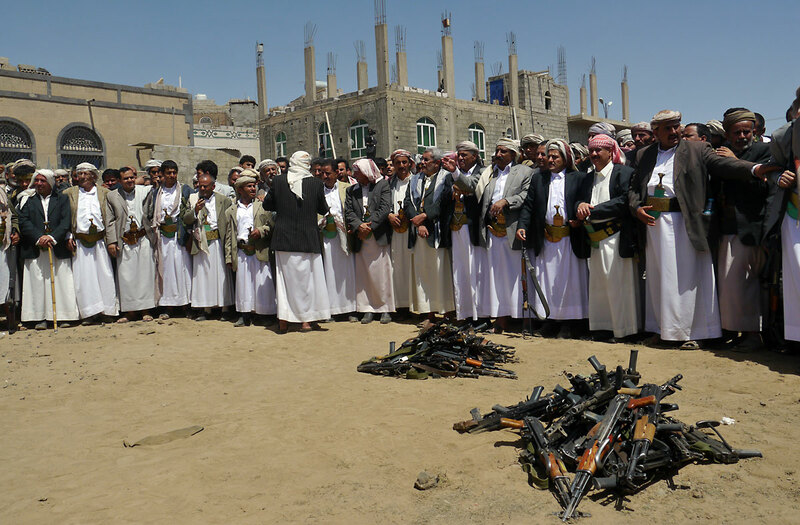 A conflict resolution based on tolerance and forgiveness, dialogue and negotiation and which is much more flexible and responsible than the fixed written rules of the non-tribal law of Yemen. We needed Mabkhout, because through him we had, first of all, full protection and identity of his tribe, the Kel Shat. Expedition Yemen by Camel: Mission Accomplished! It’s 50 degrees Celsius and in the shade, it’s 43 degrees.